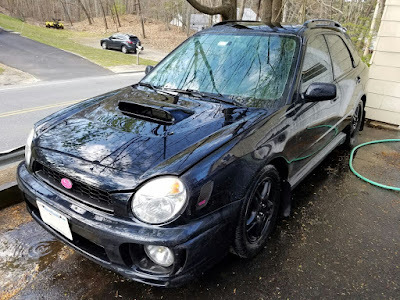 So I have come to the hard decision its time to sell my WRX. Not happy to sell, but right now this is my daily driver and don't have the time to keep it off the road. Recently developed an exhaust valve leak on cylinder 2 and barely runs. Before the recent issues, it had no check engine codes, but that night on the way home from work it started showing a misfire code. I did a compression test and cylinder 2 is very low. Since then I did a leakdown on cylinder 2 and can clearly feel the air coming out the exhaust. Right now this is the only *known* issue. Overall condition other than the new valve problem is pretty good. I know I tested the compression when I replaced the plugs and all was good at that point. There is some rust in the normal spots behind the rear wheels and behind passenger front wheel (that spot is worst). Happy to answer any questions / take any additional photos. Also feel free to PM for my cell if you want to talk about any questions. 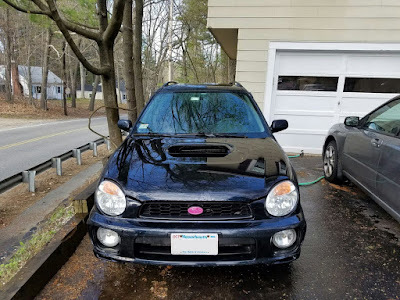 Not interested in any trades unless you are selling a 2008-2010 impreza or WRX(obviously I would need cash on my side). Owned since Sept 2010 at 168,013. Gates Timing belt and all pulleys (full Gates kit) were just done at 200,400 - I know it will need to be removed to repair valves, but still brand new and can be reused. If it doesn't move, may start the job myself, but really don't have the time. PM me with your email and i can send any pics you want. Post the pictures here, in the thread. This is relevant information on the car. Fair enough. It was just easier to email the full res photos, but will upload and post in the thread as well. As I listed, I happy to take whatever pics. also added a few other things i forgot were on the car to original post. a few local interest but no offers. Would you ship the coil overs? 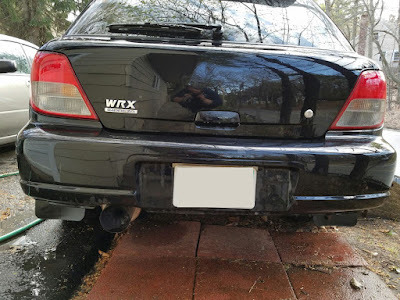 If I get a buyer for car without them I am open to it. Don't plan to part until someone buys the car though as I would just as well leave as-is for sale.